Duncan Aitchison joined TechMarketView in October 2017 as Research Director for Application Services. A respected industry commentator with more than 30 years’ experience in IT services, he is known for his in-depth knowledge of the outsourcing and SI markets, most notably the application services segment. For the four years before joining TechMarketView, Duncan was an Executive Vice President at Capgemini focused on market and business development in the large-scale applications outsourcing arena. Prior to this, he spent a decade as the European President for ISG, the world’s leading sourcing advisory firm. 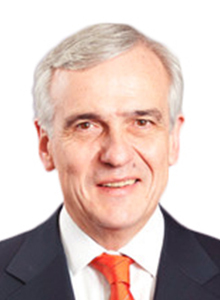 Here Duncan built a consulting team that advised enterprise clients on many of the largest outsourcing programs in Europe, drove significant geographic expansion in Germany, Switzerland, Scandinavia, Singapore and Japan and became a recognised authority on the EMEA sourcing marketplace. Extensive work with vendors and enterprise clients has given him a rounded view of the dynamics of the market. Both parties value his opinion and he has led consulting assignments covering both market and business development on the one hand and sourcing strategy, execution and management on the other. With a career that has also included roles that have involved both global leadership responsibilities and P&L accountability for large scale business units, Duncan has not only a broad market perspective, but also significant hands-on senior management experience. A business graduate, Duncan worked in both market research and commercial property before entering the IT services industry.